MotoCross! Wallpapers is a collection of amazing dirt bikes, motocross and quad photos that brings motocross right to your iOS device. 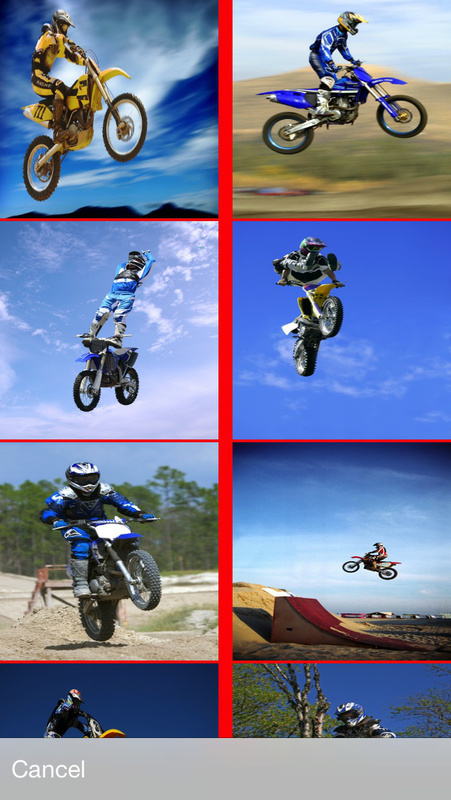 Use one of the built in images or your own photos to create your favorite Motocross themed Wallpapers! Includes 100 built-in motocross images! Enjoy more dozens of images that are bundled in right in the application-on your device at all times. NO internet connection required. Pick your favorites and save them to your photo album with one tap to use as your wallpaper. - Save the photos to your library and set them as wall paper. Share with friends! 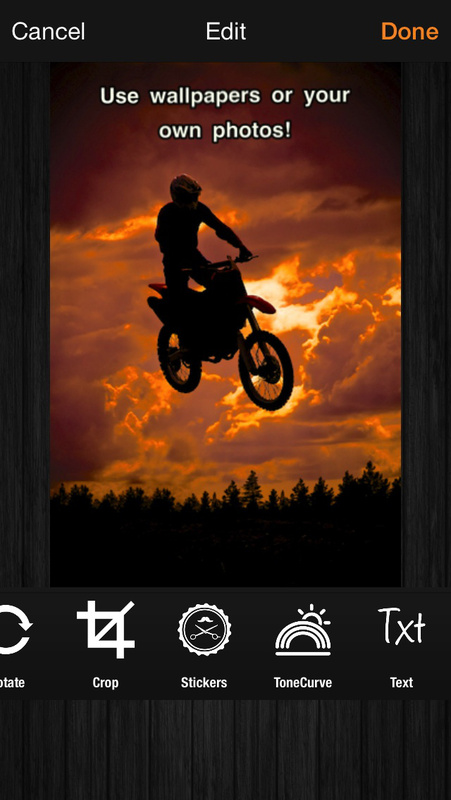 If you love dirt bikes, motocross or motorcycles you'll enjoy this app. Frequent updates will add new images regularly. Other Apps by Tapless Games Inc.